The whole family will enjoy water parks in Missouri. Many of these following attractions have a lot to offer with the adrenline rushing water rides. You and the family will be able to expierience the thrill. See our list of the best water parks in MO. Splash Landing is a perfect summer destination for the whole family. Located in the Mark Twain Landing you are sure to find something to do even if you don't like swimming as there are some golf courses, both indoors and outdoors, a fishing pier and movie theaters. The Splash Landing has a kids' and an adults' pool, water slides, a lazy river and more. To access it, you must pay $25 per person if you're between 11 and 61 years old, while those out of this rage have lower admissions. Check out the season passes as they're cheaper. Aquaport Water Park is a water park in Maryland Heights and offers all the water attractions both kids and adults could be interested in. The park features several pools and slides, lazy river, a pool designed for young kids and one for both children and their parents. Aquaport Water Park includes a concession area, lockers and a restaurant where you can grab a drink and a snack. The parking is free and the fees are suitable to a family budget. Take a day off during summer vacation and visit White Water in Branson, MO. This large water park provides exciting adventures for kids of any age as well as adults. Check out the Bermuda Triangle attraction and then head over to the Coconut Cave that is especially designed for young children. When your kids get tired of the rides you and your family can rest in one of the conveniently placed Cabanas. Cabanas can host up to 8 people. The Blanchette Aquatic Center in St Charles, MO is a fully equipped water park and here you will find anything you need for a day full of water fun along with your family. The park includes two waterslides, lap swimming and a playground where young kids can have fun. The Blanchette Aquatic Center can host large pool parties and other events for your family and friends to attend on a summer day for affordable fees. 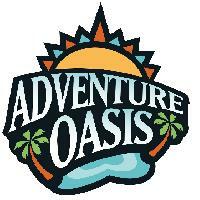 There is no way better to spend a hot summer day then visiting a water park such as Oceans of Fun in Kansas City, MO. The park features 18 water slides only for children and is expanded over a 60 acre area. Oceans of Fun operates every day from 10:30 in the morning and until 7 pm and every kid as well as adult will enjoy the experience. The park features different slides to suit everyone's taste. Blue Falls is a popular family water park in Poplar Bluff, MO. The park features several water attractions, lounges and restaurants and is ideal for a family trip. Blue Falls includes go karts, a kiddie pool, tube slides and some dry spots for kids who don't feel like swimming. A place where you can lounge and sit in the sun is provided as well as 3 cabanas for relaxing and catching up with your friends. 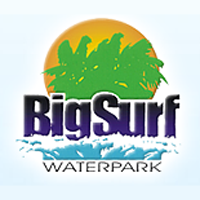 Big Surf Waterpark is one of the largest water-parks in Missouri and is located near the Lake of the Ozarks in Linn Creek. 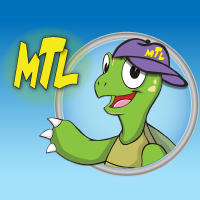 The attraction was founded in 1988 and is visited daily by tourists all over the nation. Start things off with a splash in the Wave Pool, a 375,000-gallon pool for both kids who can swim and those who don't. Move over to the Zambezi Fall for a thrilling experience and then go to the Tropical Splash Island, a pool created for young kids. Super Splash USA will allow you to chill, have a good time and get some sun. The water park is located in Raytown, MO and includes four large water slides, a kiddie pool for young kids and a big sized pool where visitors can take swimming lessons. The admission fee is $9 for adults and $7 for kids. 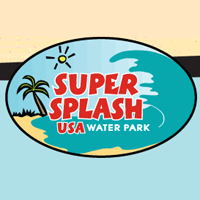 Super Splash USA is an outdoor facility and opens its gates every day at 11am. A water park like the Adventure Oasis Water Park in Independence, MO offers a great escape from the sun, on a hot summer day. This water park is open stating at noon on weekdays or at 11 Am on weekends and holidays and closes at 8 PM. The residents pay lower admission fees, but everyone is welcome, no matter wh0 they come with: friends or family. The park offers various programs including swimming classes or water work out sessions for those who want to stay fit. 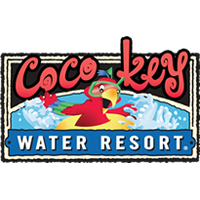 At CoCo Key one can spend their vacation with their family or just stay overnight as this water resort. A water resort is perfect for those coming to Kansas City from further away cities and they need a place to sleep. There are packages of 1 or 2 nights available with prices starting at $149 and they include 4 water attraction passes valid for as many days one stays here. Two kids can eat for free as long as there is at least one paying adult.